Paprika is everywhere in Budapest. It's used in the national favourite Goulash and I picked some up on my trip there in the Great Market Hall. It's a spice made from air-dried fruits of the chili pepper called Capsicum. The spice was first introduced to the Hungarians by the Turks during their occupation in around 1530. I've been looking for a way to use my holiday souvenir since I got home and this recipe really ticked my fancy. It's really easy to make and if you serve it with vegetables it makes a pretty healthy midweek dinner option. First off pre heat your oven to 180c/gas mark 4. 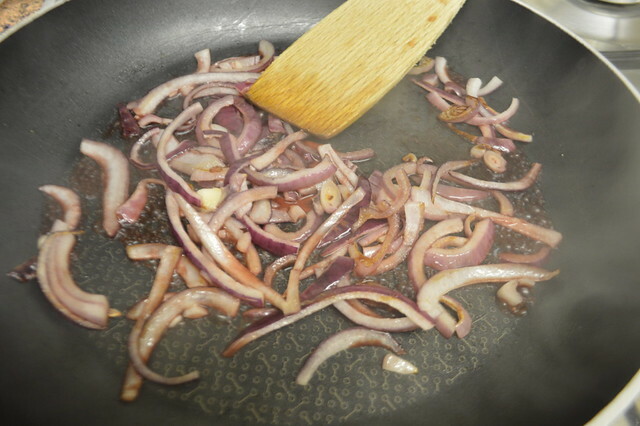 Heat the oil and saute half of the onions with the sage until the onions are golden brown. 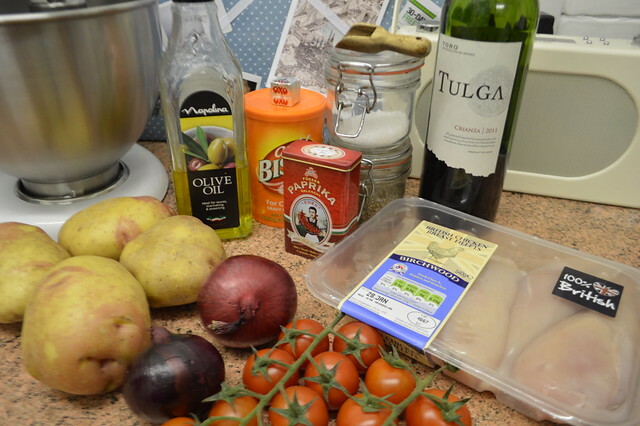 Add the wine and simmer until reduced by half, then add the stock and simmer for a further 10 minutes. Thicken with gravy granules and simmer for a further 5 minutes. Season to taste. 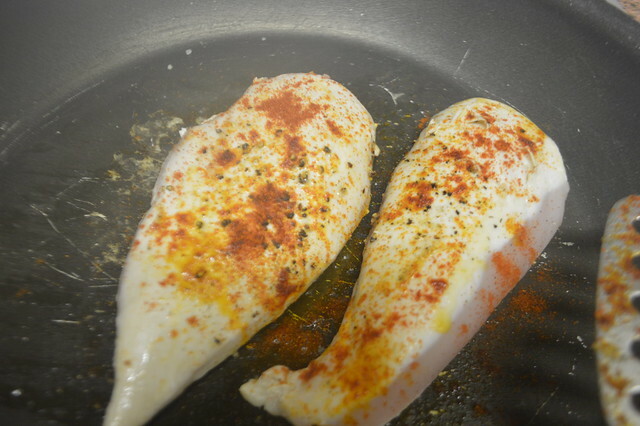 In a separate pan, heat the olive oil and seal the chicken breasts. Turn until evenly cooked and set to one side. Add the rest of the onions and smoked paprika to the pan used to seal the chicken and saute until soft. 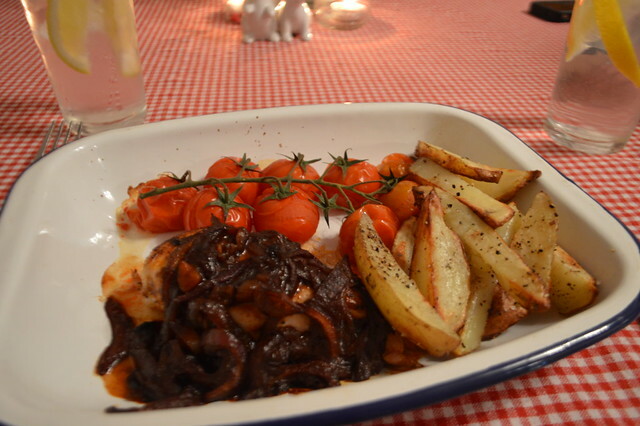 Place the chicken on a lightly oiled oven dish, then top with onion. Pour the gravy mix around the chicken and bake for 25 minutes. I served my partners with some homemade chips lightly coated in oil and seasoned to make it a little more filling for him. 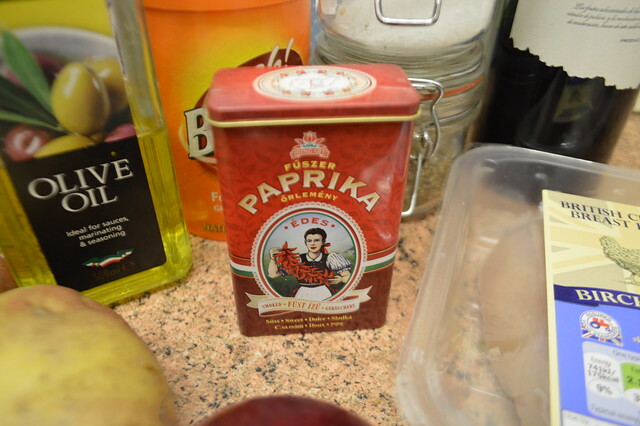 Have you got any recipes to share where I can use more of my lovely paprika? This recipe is one of a series created by Sunrise assisted living, who have a team of chefs who create delicious and nutritious recipes which are perfect for a healthier way of life. They provided me with the ingredients so I could give it a go myself. This sounds right up my street Gem! I make chickpea and chorizo stew type thing with paprika - chop up an onion, a red pepper and chorizo and fry until the veg is softened and the chorizo is cooked. Cover in smoked paprika - as much as you like depending on taste and stir to coat. Add a tin of drained chickpeas, a tin of tomatoes and then I add a veg stock cube with around a tin of boiling water and leave to cook until sauce has thickened. Boyfriend has it with rice, I have it with brocolli - super tasty! It looks like a wonderful recipe and easy to cook dinner. Thank you so much for sharing.